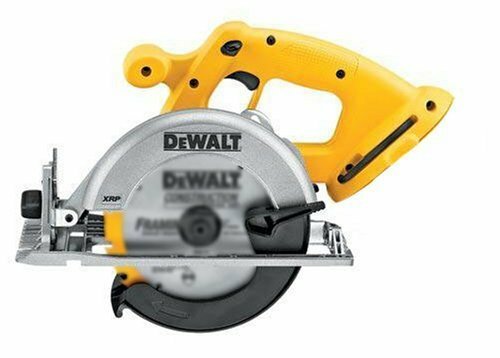 This deal is for the person who already has a DeWALT 18v battery & charger and wants to upgrade his system for the lowest possible price, or just wants to replace his saw or upgrade from the older style 18v 5-3/8 saw. Includes: 6-1/2 carbide blade, blade wrench, and rip fence. This shipping weight is not correct, it should be 6 lbs. The problem is at checkout their charging you an exact $5.00+ for shipping ($7.99 + $1.00/lb}. Amazon was contacted to correct the problem??? ?